"In the Philippines, we have no less than 80 million cellphone users, sending nearly two billion text messages every day," President Aquino said. 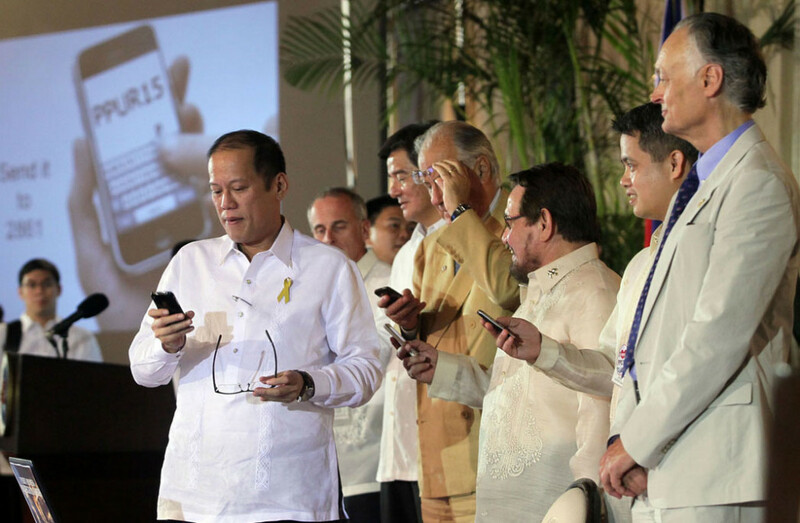 With his smartphone in hand, President Benigno S. Aquino III of the Philippines leads the ceremonial text voting during this week’s Official Proclamation Launch of the Puerto Princesa Underground River as Finalist in the New7Wonders of Nature at the Rizal Ceremonial Hall, Malacañang. Pictured alongside the President are Italian Ambassador Luca Formari, Department of Trade Secretary Alberto Romulo, Puerto Princesa City Mayor Edward Hagedorn and Bernard Weber, Founder and President of New7Wonders.